Home / Blog > Our Leave Management System: Making Your Life Easier! 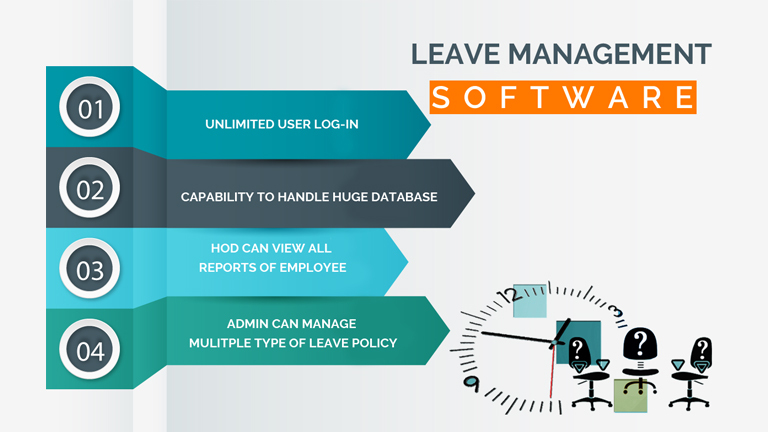 Star Link Communication Private Limited’s leave management system is a computerized solution that helps manage employees’ leaves & absence (Leaves can be approved or disapproved.) and comes with several additional features. Sanctioning leaves of employees can be a cumbersome process, specially in large organisations. Leaves are given based on multiple factors – timing, availability of relievers, etc. Superiors may not be available to discuss leaves of employees all the time. Here, the subordinates can fill a leave voucher, when they want to apply for leaves, and they can be reviewed by their superiors, as per their convenience. Our software solution has been designed keeping in mind the HR needs of companies. Leave Management – As mentioned earlier, this is the key feature of our software. Workers can apply for leaves, and then, they can, or cannot be approved by their superiors. Once they have applied, they can check the status i.e., if the leave has been ‘Approved’, or is ‘Pending, and so on. There are options for single or multilevel leave approval policies. Multilevel leave approval policy means that the administrator of the system can give the right to approve leaves to a number of seniors. Holidays – An additional feature of Star Link’s leave management system is that users can have a look at the holidays of the current year. They don’t have to be communicated to each and every employee. Now, your workforce won’t trouble you by asking about holidays! They will look them up in our software solution. Easy Access – This software solution can be accessed from anywhere in the world! All one needs is an internet enabled device. This software needs to be synchronised/ linked to our time office software solution. So why don’t you fill this form? Do you really need an excuse to not make your life easier?